Fix Freeze Feast is a freezer cookbook that really takes advantage of bulk warehouse store such as Sams and Costco and the huge packages of meat that they sell. Those club packs of meat are the foundation that turn into 2-4 meals for your freezer. The book starts with tips on getting organized, shopping, prep work, labeling, assembling and freezing the recipes, fixing mistakes, as well as thawing and reheating freezer meals. Many of the recipes are for beef, chicken and pork in marinades. Most are from scratch and a few include premade seasonings of herbs and spices. 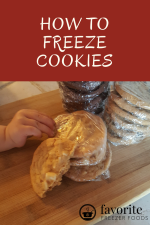 The recipes include the amount and size of freezer bags you will need, instructions for the recipe, how to freeze it and how to cook it after it is thawed. Tex-mex, Asian, Italian and Thai and favorite flavors of the west coast authors and this book can help get a greater variety of flavors on your table. Some recipes include what the authors call 'Second generation recipes," these are recipes for a completely new non freezable dish using the freezer friendly bulk recipes they give. There are a few seafood and mushroom main dish recipes and just a few sides or vegetarian dishes. A few soups and stir fries, breakfasts, muffins, cookies, snacks and smoothies. Every recipe has some author comments above it including the initials of the author that contributed it. I found the initials to be distracting because I kept wondering why they felt the need to include them, but it really doesn't matter since the recipes are still good. There are also tips scattered through out the book about boosting flavor, lowering heat and buying ingredients at the warehouse club or the grocery store. Copyable labels for each recipe are included in the back. The back of the book includes instructions for adapting and multiplying your own recipes for the freezer. There are some suggested ways to use food as fellowship from stating a cooking club or co-op to giving freezer meals to charity or friends and family in need due to a new addition, sickness or other routine changing events. The index is well laid out by both ingredient and recipe. The book its self has a great binding but does not lay flat, also the cover is a bit like thick cardboard and made the book quite heavy. Fix Freeze Feast does not include photos. This book is ideal for those who want to shop in bulk and stock up the freezer with prepared meals and can spare the time for cooking a meal on busy weeknights after if all the prep work is done. 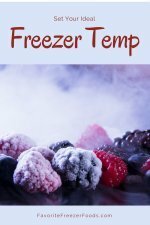 Read more freezer cook book reviews. Return from Fix Freeze Feast to the homepage of Favorite Freezer Foods.